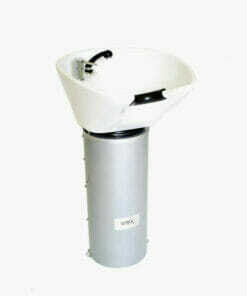 WBX 2000 Grande Chrome Classic Washpoint Complete. 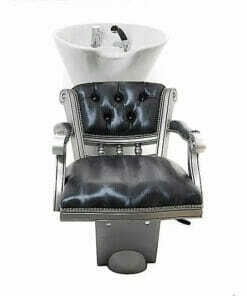 WBX 2000 Grande Chrome Classic Washpoint Complete is a classically designed wash unit with elegant round chrome arms. 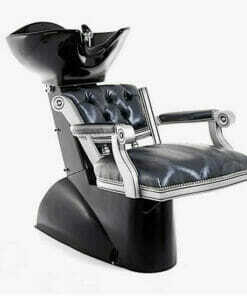 On a high quality silver pedestal and base. 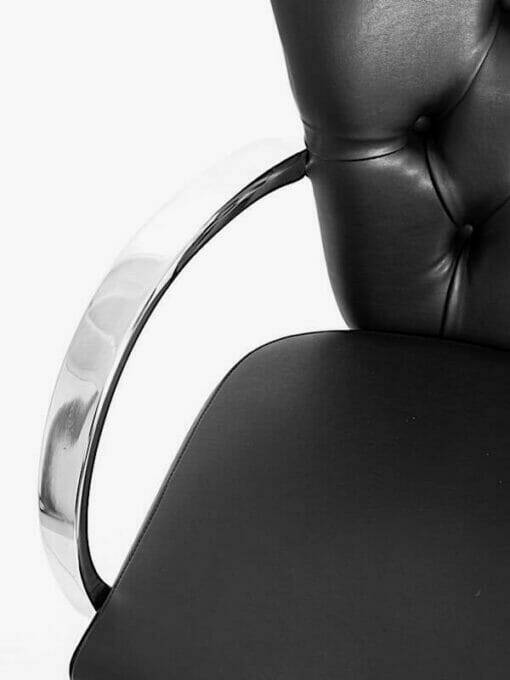 The Grande seat is upholstered in a hard wearing fabric with buttoned back and stud detailing, available in black or brown. Please use the drop down box to choose. 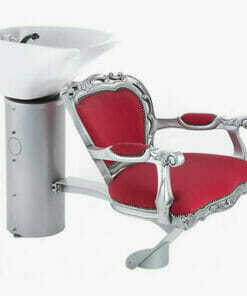 This unit comes complete with a deep, Italian, white ceramic basin. 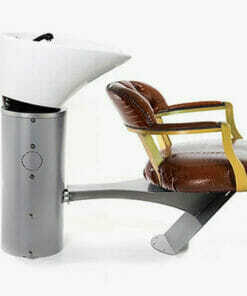 Supplied on a fully adjustable tilt mechanism with mixer tap, shower head and all plumbing fittings. Ready to be installed. 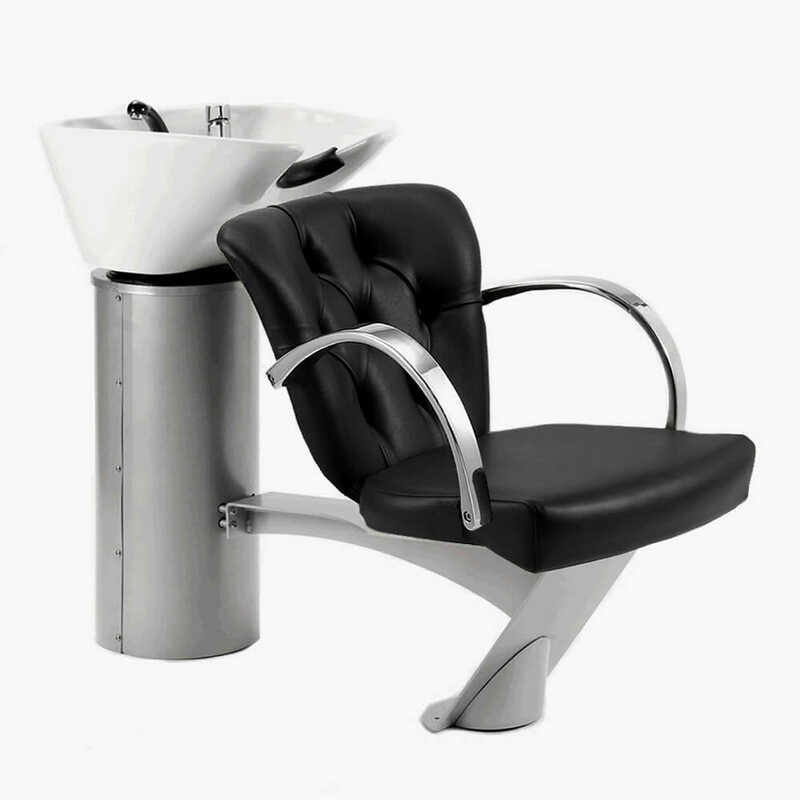 All 2000 series washpoints are fitted with an integrated seat slider to adjust the chairs position. 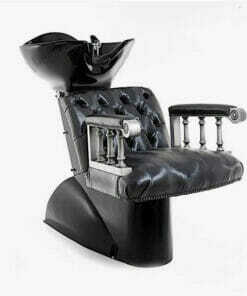 Providing 80mm of fore and aft adjustment. 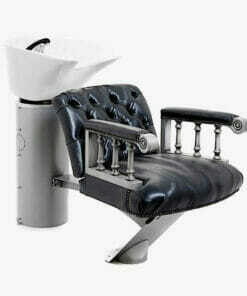 Simply lift the lever whilst sitting in the chair to adjust the distance between the chair and the basin. Two different link units are available to neatly connect two or more washpoints. 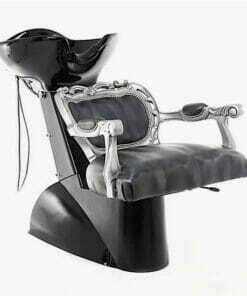 And a matching Grande Chrome Classic Hydraulic Styling Chair is also available. 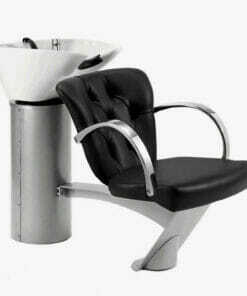 Allowing you to create a tailored and consistent feel across your salon. WBX 2000 Grande Chrome Washpoint Complete. WBX 2000 Grande Chrome Washpoint – Assembly Video. 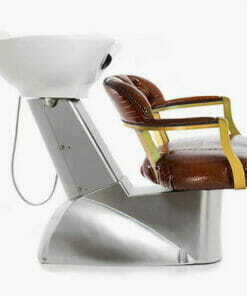 WBX Europe is a supplier of fine quality salon furniture and other salon equipment. 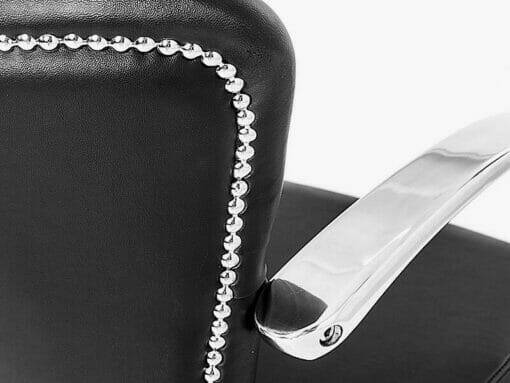 Their attention to detail ensures the WBX chairs will stand the “Test of Time”. 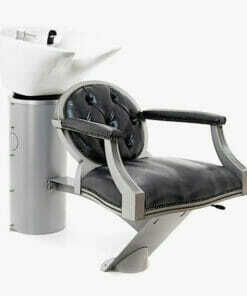 All items are manufactured and heavily tested before being put into production and becoming available to purchase. 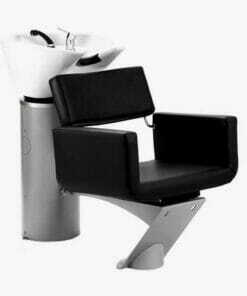 This is why all the WBX salon equipment and furniture is supplied to you with a full 5 year guarantee against structural faults. 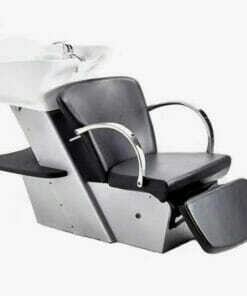 Ensuring complete peace of mind when making your salon furniture purchase. 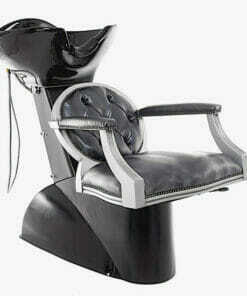 Designed by people with a wealth of industry experience. 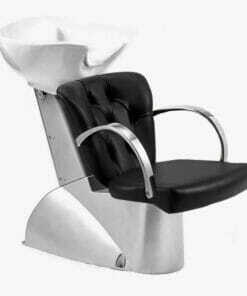 We have focused on a select range of salon chairs to make your choice simpler. 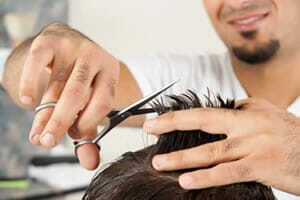 We recognise that style is very important but we will never compromise safety or performance!